100% Pure Beta-hydroxy beta-methylbutyrate - Calcium Salt (CaHMB). HMB is a popular amino acid with bodybuilders and others who know the importance of amino acids for muscle development and lean tissue protection. HMB - short for beta-hydroxy beta-methylbutyrate - is a metabolite of leucine, now thought to be one of the most important essential amino acids for protein synthesis. Leucine protects muscle tissue from damage, particularly between protein meals, and creates a steady and constant muscle development environment. HMB is produced naturally by the body but only in very small amounts. It can be found in whole foods but it is very difficult to ingest enough through food alone. Supplementing with HMB is a smart choice for anyone who wishes to keep their body in a muscle sparing state throughout the day and night when a source of protein is not always available. This makes it a good choice of amino acid supplement for anyone training intensely, cutting and dieting, doing a lot of cardio, or using an intermittent fasting diet protocol. HMB is known for its slightly bitter taste so we recommend either adding to juice, sweetening with one of our natural flavour systems, or adding to BCAAs and/or protein powder. As only 1g is needed for a single dose, these recommendations should enable you to mask the taste of the raw HMB supplement. Research has shown HMB supplements to be of great benefit to sports performance, strength gains, training recovery and muscle development. It is a powerful anti-catabolic supplement and a good choice for anyone dieting, training hard or aiming for low body recomposition. A very beneficial amino acid supplement for bodybuilders, serious gym goers, strength and power athletes. As a dietary supplement, mix 1g with 50ml of water or non acidic juice and drink 1 to 3 times daily or as required. 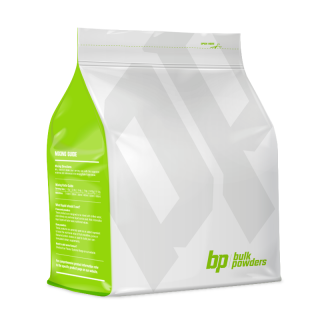 For best results, add to your BCAA powder (as a drink) and/or one of your protein shakes. 1 slightly heaped 1.5ml scoop provides an estimated 1g serving. Scoop included in package. Feeling better already. I am not sure if it is this product as it's a little too early to tell but my lower back pain is starting to reduce and feeling a little stronger. Only been on it for a couple of weeks. Recommended by my doctor on the Gold Coast. Hoping for continued improvement, taking 3 grams a day and bought the 500g. Very understated supplement in the gym, highly recommend it if you can deal with the raw taste the results are worth it. Good product have found it effective for helping to maintain an anabolic state during cutting and times of lower protein/calorie intake, in my opinion it helps boost protein synthesis and definitely notice some good lean gains when taking. Can't describe how bad the taste is but that's just how it is in pure raw form, only small amount required per dose so i just dissolve in small amount of water and have some juice ready for a chaser.